It is never too early to start thinking about all the creative projects that can be made for Halloween. 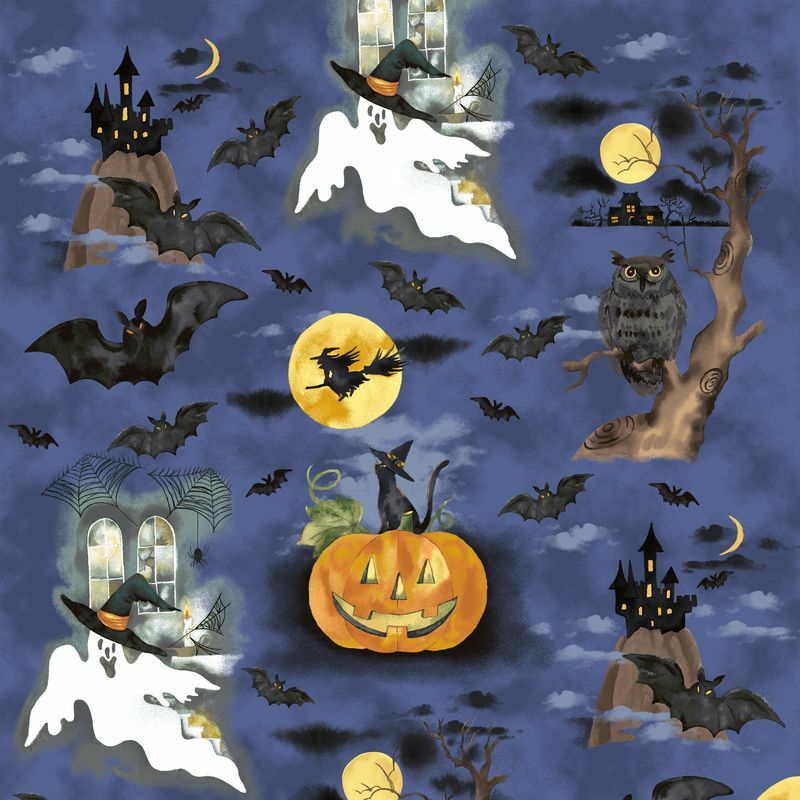 Windham Fabrics has a ghoulishly whimsical collection called Fright Night hitting stores this April. This collection is full of all sorts of spooky fabrics with ghastly characters such as prowling black cats, flying bats and ghosts. While carving pumpkins and eating way too much candy are traditional Halloween activities, this year try celebrating in advance by making Halloween home décor projects. Get ready to decorate your house this upcoming October with all sorts of Halloween inspired projects such as placemats, table cloths, napkins and more. 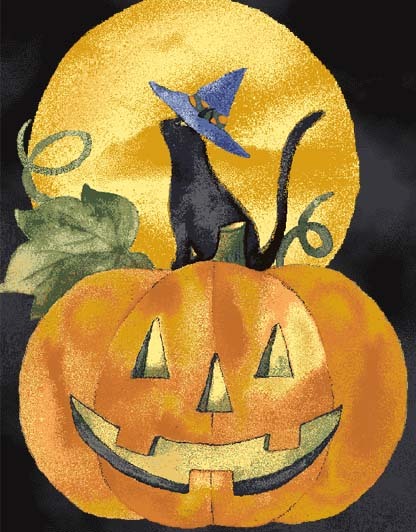 Enjoy an array of patterns that come in a spectrum of Halloween colors and designs. Nice patterns. Halloween is always a fun time regardless of the month. Kim I totally agree. One of my favorite holidays! !